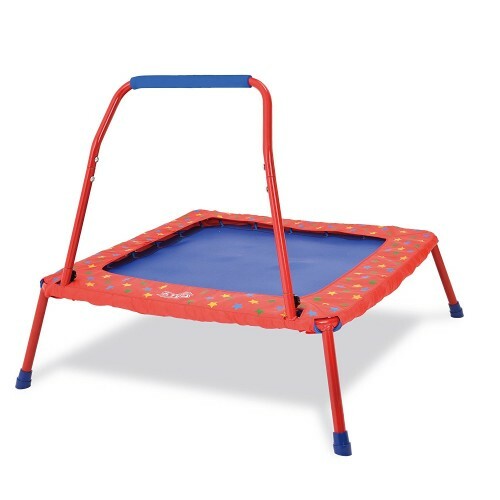 This new Galt Toys Fold and Bounce Trampoline for kids up to 55 lbs has attractive design, safety features and easy-to-assemble and fold construction. 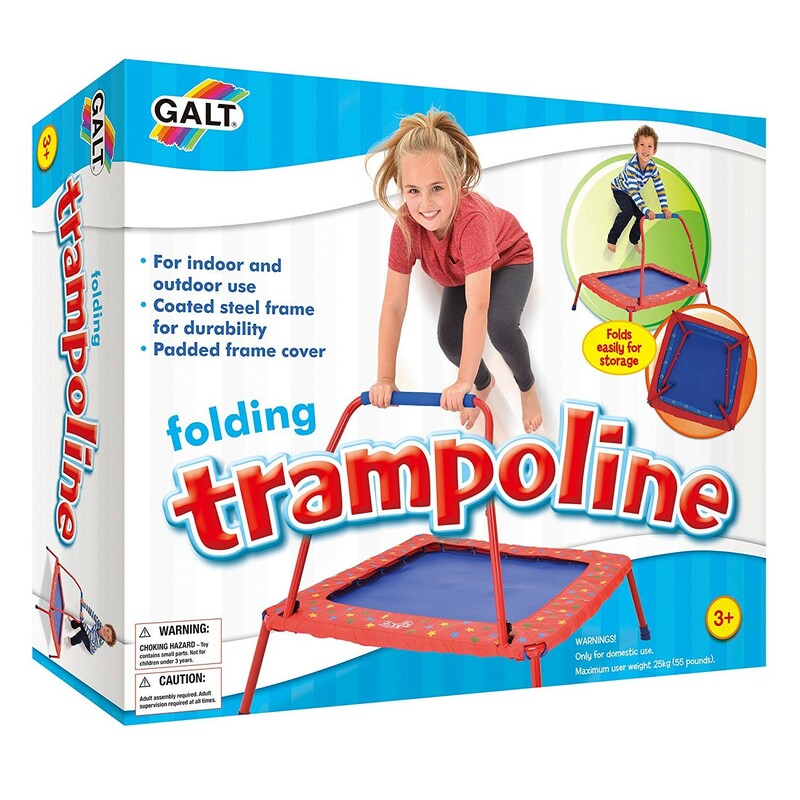 New improved design of the bestselling Galt's folding trampoline is here for toddlers and preschoolers! 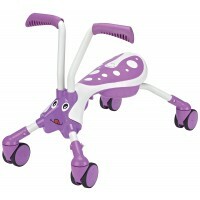 Kids First Fold and Bounce Trampoline is a great way to have fun while getting exercise. 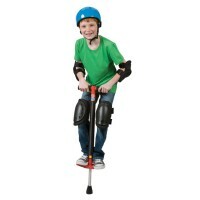 Now even younger members of your family can enjoy jumping on a trampoline! 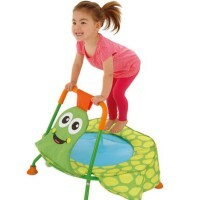 This first trampoline by Galt Toys looks bright and colorful and comes with special safety features like improved frame and enhanced stability. 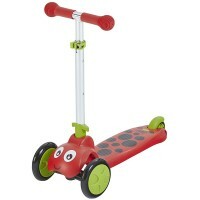 This children trampoline from Educational Toys Planet has cushioned bumper around its frame, non-slippery bouncy surface, newly designed easy-to-grip rubber-covered handle. 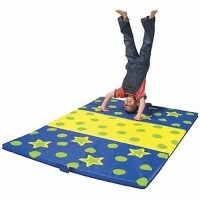 This children first trampoline has a weatherproof mat to be used for indoor or outdoor active play. This kids trampoline takes 3 easy steps to assemble, no tools required. 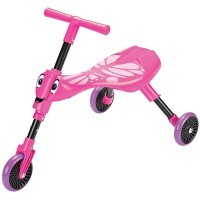 Just open the frame, unfold the legs, and lift the handle, and jump on! 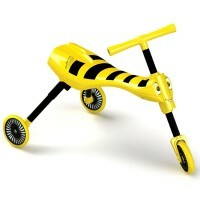 Legs, handle and frame of this young children trampoline are foldable for easy storage. The Kids First Fold and Bounce Trampoline includes detailed assembly instructions. Adult assembly required. 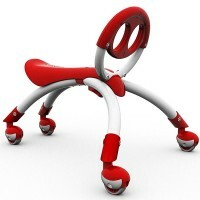 The assembled toddler jumping trampoline measures 27 x 26 x 26 inches and holds up to 55 pounds. Dimensions of package 0.15" x 0.2625" x 0.0625"
Write your own review of Kids First Fold and Bounce Trampoline . 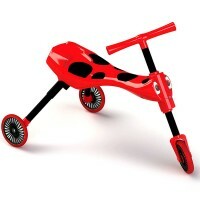 Rating: 4 by Barbara C, FL My grandson loves this toy. He is 3, and bouncing very energetically. My only problem is he tips it forward when he jumps, so it has to be set up against a wall, which he would prefer it not be. I would like it better if it were weighted to avoid the tipping.